Some are newbies searching for a big picture in the Machine Learning land, other are high level specialists coming to talk to peers. Few months ago, we started to use Machine Learning algorithms to help understand us who is our audience. We wanted to know if there are clusters of members sharing similar characteristics. This very first iteration give us interesting insights. 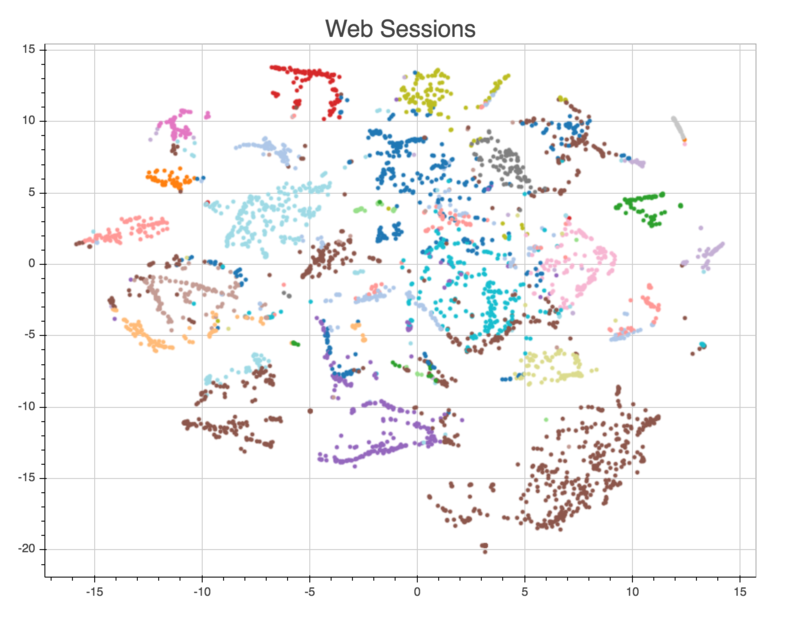 We use a T-SNE algorithm to cluster members. Inputs are the registration forms. The clustering algorithm compute similarities between all these forms and compose clusters accordingly. The graphic below highlights the different groups which compose the Paris Machine Learning. Dots are members. Colors separate clusters of members. There are approximately two dozen of clusters (Phd students, Startup founders, Deep Learning researchers, ...). Pass your mouse over dots to see this (use Chrome or Firefox).